MANILA, Philippines – The Commission on Higher Education (CHED) has officially ordered the moving of school opening to August for Academic Year 2019-2020. In a memorandum dated April 5, 2019 and issued by CHED chairman J. Prospero E. de Vera III, all state universities and colleges (SUCs) and local universities and colleges (LUCs) are instructed to begin their school year in August. 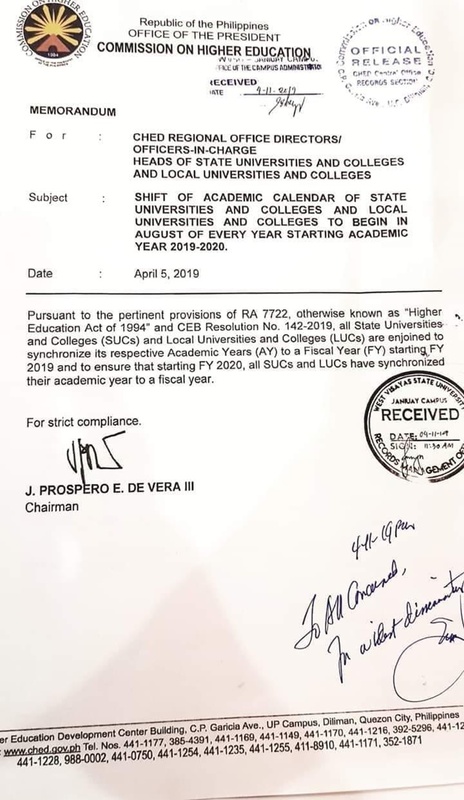 Last year, De Vera explained that the shift to August was considered to help facilitate easier implementation of the Universal Access to Quality Tertiary Education Act under the cash-based budgeting system. He noted that since the fiscal year and academic year are not aligned, the implementation of the free higher education law would be “severely” affected by the cash-based budgeting system. Under a cash-based budget system, agencies are required to spend their allocated funds and deliver projects within the year. De Vera admitted they have difficulties reimbursing for all schools by the end of the year, as some schools that start in June or July would start their second semester in November. With the implementation of August opening, reimbursements for the first semester may be finished by the end of the year. De Vera added that there is a need for synchronization because some SUCs and LUCs have already started opening classes in August. 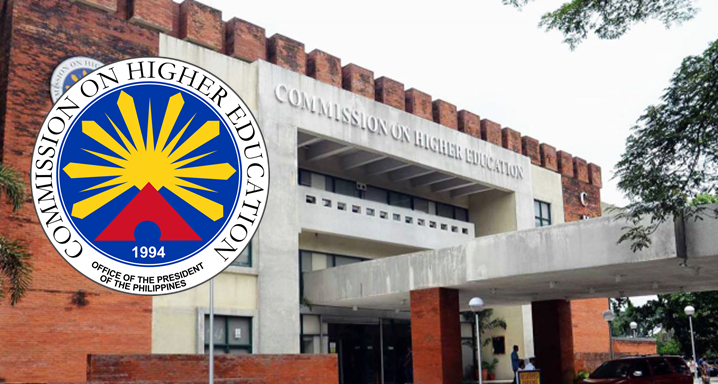 CHED noted that there are 112 SUCs and and 78 LUCs nationwide that will benefit from the free higher education law.